Urushi is incredibly powerful and efficient. An example of this application of traditional skills is the Maki-e style of decorative urushi ware. During Japan’s feudal era, urushi was used for samurai furnishings, in shrines and temples, and as a coating for armor. In the 16th century, the word urushi came to refer to urushi ware or the application of decorative urushi. 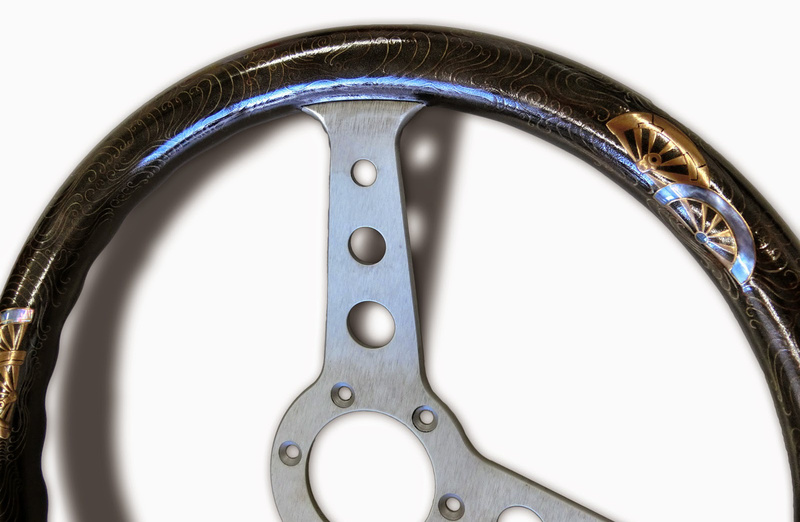 Europeans were fascinated with the beautiful embedded gold and mother-of-pearl designs and deep red or black luster of Japanese urushi. In China, Korea, and Japan, urushi is gathered from the urushi tree, Toxicodendron vernicifluum. Urushi is also gathered from different trees in other Southeast Asian countries such as Vietnam, Thailand, Myanmar and Cambodia. Although many people believe that urushi is only used for coating and painting, it was also used as an adhesive to attach arrowheads to shafts. Urushi seeds were mixed with wax to make candles, and parts of the urushi tree were fashioned into fishing net floats. As many Japanese national treasures and important cultural heritage works are made of wood, they must be protected for the sake of future generations. Because of its high quality, raw urushi from Joboji is essential in protecting many historic treasures at sites such as the Konjiki-do at Chusonji Temple in Hiraizumi, the Kinkaku pavilion at Rokuonji Temple in Kyoto, and the shrines in Nikko, which are registered World Heritage sites. Beauty of science, art, love. Either it is ephemeral or eternal, future without beauty has no meaning. 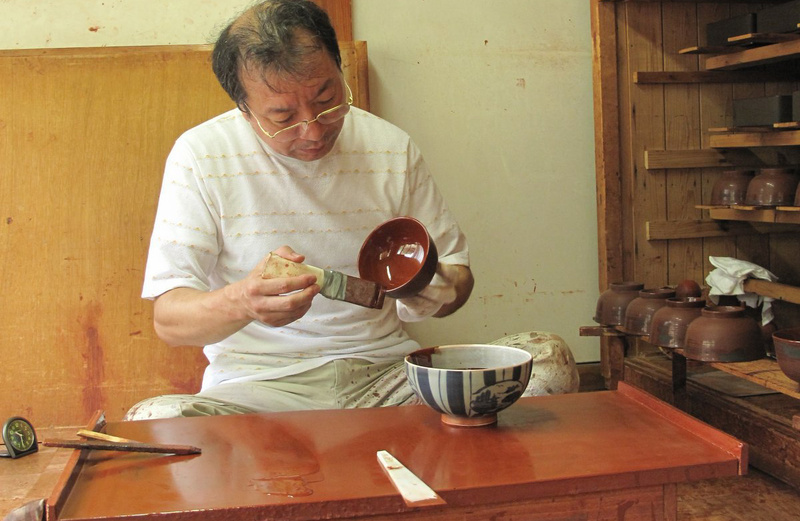 Despite its long history and tradition, the Japanese urushi industry is shrinking. The main factor is the high volume of lower-priced Chinese urushi imports to Japan. At the same time, the volume of urushi imported to Japan decreases every year – it’s possible that Japanese people don’t see much need for urushi ware in their modern lifestyle. A commonly used cheap replacement for traditional urushi ware is made from petroleum rather than the traditional tree sap. In Joboji, less than twenty artisans still gather the sap of the urushi tree, and most of them are over the age of 70. Against this background, the possibility that the Japanese urushi industry will die out in the near future is all too real. Urushi is an adhesive or coating,made from the purified sap of the urushi tree (Japasense lacquer).Urushi coating is one of the most basic of materials,and is used in the production of tableware and utensils for everyday use as well as pieces of urushi artwork.It is also used in the restoration of urushi ware and as an exterior coating for buildings. The distinctive culture of urushi,born in Japan, was highly valued in foreign countries. Gorgeously decorated with gold and inlaid with mother-of-pearl,works of urushi art were created as long ago as the Heian period(8th-12th century).In the Muromachi period(14th-15th century) they were exported to China, the Korean peninsula, and Ryukyu together with swords and fans as specialty goods representing Japan. From the latter half of the 16th century onward, with the spread of European influences into Asia, works of urushi art made to order for the Portuguese, Spanish, and Dutch were produced mainly in the city of Kyoto and exported in large volumes. Urushi ware produced in Japan end exported to Europe was called "japan" in the early 17th century and was fancied by the wealthy classes. With the rising demand for these product, Europeans attempted to make urushi ware on their own, but there were no urushi trees in the region and therefore no urushi coating.For that reason, Europeans began to create multicolored imitations using a Western coating called "lac".